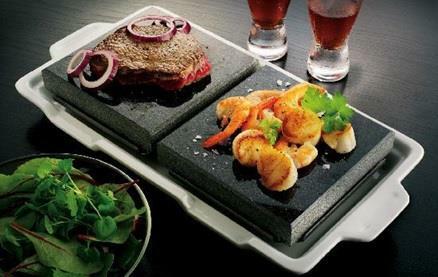 Superb quality steaks and fresh fish taste even better when cooked 'On The Rocks'. Using the Black Rock Grill system, food is cooked on volcanic lava rock at your table; a unique, delicious and healthy dining experience. 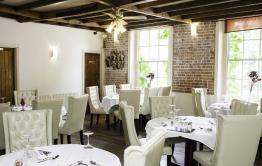 Everything is freshly prepared on site using only the finest, locally sourced, ingredients. On The Rocks' method of dining uses super heated volcanic rock that sears in all the natural juices and flavours with no need for oils or fats. It is a deliciously healthy interactive dining experience that allows your meal to be cooked 'On The Rocks' at your table, exactly how you like it. The restaurant uses only the finest local produce including steaks (21 day matured), the finest fish and freshest vegetables. Even the ice cream is locally sourced. 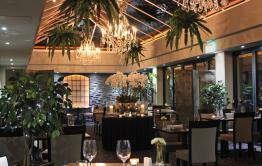 On The Rocks is a warm and welcoming restaurant with friendly and efficient staff. Be the first to write a review and share your experience at On The Rocks with other diners.